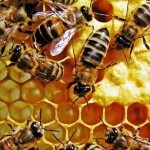 Honey – is perhaps the most ancient natural sweetener, which is known to man. Moreover, honey is an excellent, and most importantly healthy substitute for sugar, that has incredible nutritional value. 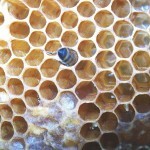 Today, honey is very popular in cosmetics, food and medicine, and that is why honey food recipes are so popular . Here you can find all kinds of healthy natural recipes with honey, so you can make some tasty food or medicine. Very popular are the tincture of aloe and honey. Medical recipes with honey are no less popular and in demand. You can buy honey at any time of the year, but we recommend to buy it in the summer or fall, when there is a collecting of honey. Since honey contains glucose, fructose, and a number of minerals, such as calcium, sulfur, magnesium, phosphorus, iron, potassium, this explains the nutritional value of honey. In addition honey contains also a number of vitamins, namely vitamins B1, B2, B6, B3, B5 and of course, vitamin C, so recipes with honey are effective in the treatment of diseases. 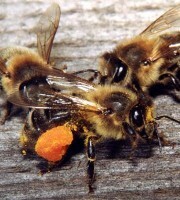 The quality of pollen and nectar will directly influence on the nutritional value of honey and the concentration of nutrients. Also honey contains natural hormones in small doses. All we care about our health, and recipes with honey help us. For example, if you want to strengthen your body, the aloe and honey recipes will help you. The order of preparation is as follows: first, you need to cut the bottom leaves of aloe, and then rinse thoroughly. After the leaves are finely chopped and you carefully squeeze the juice from them. Ratio of aloe and honey is 1:5, take the resulting tincture orally three times a day, a teaspoon before meals for about two months. Aloe with honey is good for everyone (of course if you are not allergic to one of the components). 1. If you take for a meal two teaspoons of honey for a week, you can get rid of muscle spasms. 2. Honey, combined with milk, lemon juice, tea, garlic and onion, helps in the treatment of colds. 3. If you have bronchitis, it is recommended to make honey inhalation, 3-4 times a day. 4. 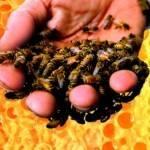 20 per cent solution of honey helps in the treatment of conjunctivitis and incipient cataracts. 5. Honey with beet juice in a ratio of one to one, taken 3-5 times a day, helps to get rid of insomnia, as well as help patients with hypertension. 6. 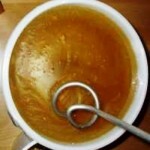 Recipes with honey are good in particular for the treatment of the TB. You need to take a tablespoon of birch buds, honey and a glass of alcohol and keep them for five days in a dark bottle, with periodic shaking. Take the resulting solution 3 times a day by one tablespoon. This recipe is suitable for everyone who likes to eat tasty and useful. Try to buy only domestic chicken, because they have the best taste. We will give you a recipe for chicken wings with honey, so everyone will be able to make a real culinary masterpiece. You can take the initiative during the preparation of this dish: add some of your favorite spices, put more onion and garlic – so you only accentuate the aroma and taste of ready dish. – You can add a few small pinches of curry. First we need to carefully dip the wings in honey, and then put them into the prepared enamel ware. Now you need to pour the wings with honey, then sprinkle with mustard seeds, and rub the mixture. In that case, if the honey thickens, you just soften it in a water bath. Now you need to pour this chicken with a half of the sauce and put to marinate in the fridge for an hour. After you can fry in a little pan with the lid closed. Make sure that the fire is weak. You need to constantly turn the wings, as long as they become brown from a pickle. If you prefer to cook in the oven, the wings must first be placed in a saucepan and covered with a lid. In this case, we recommend you to pre-boil rice until soft and rinse. Rice and wings are put in the dish that was previously greased, and after pour with marinade. Covered saucepan is put in a preheated oven and you cook it for about 45 minutes on low heat. It is important to always keep an eye on a dish. Chicken will be very tender and tasty, and the rice will have brown color and incredible taste, but you have to strictly follow the recipe. And who wants to know more delicious recipes with honey, after we tell the recipe of ribs with honey. You can successfully replace store candies with the nuts with honey. And this is much tastier and healthier. If you are interested in a recipe with honey and walnuts, then read on. First we need to clean up walnuts, fry a little, and then roll with a rolling pin on the board. You can also chop the nuts with a knife. Chopped nuts should be placed in specially prepared molds and poured with honey. And you can eat them with tea. As you can see, nuts and honey recipe does not require much time. And if you celebrate your child’s birthday, his or her friends will appreciate the sweet dessert. – Half a teaspoon of baking soda. Cooking oatmeal cookies with honey, the recipe must be followed as carefully as possible. Mix very carefully the flour with the baking soda, and then sift through a sieve. Then also thoroughly rub the sugar and butter. Gradually, in the process of mixing, add the honey, then the sour cream, eggs, cereal (which had previously been grinded through a meat grinder), and finally the flour, mixed with soda. Then, the dough must be for a couple of minutes carefully kneaded and rolled into a thin cake (with a thickness of about 3-5 mm (0.1”). With a knife or special molds you carve figurines. A baking temperature is up to 220 degrees Celsius (430 F), bake 15 minutes. We want to offer you a nice cake recipe with honey (ie “Anthill” cake recipe with honey), which both children and adults like. – Vegetable oil (for frying). Now let’s move on to how to prepare this delicious cake with honey. First we need to dissolve salt in water, and then mix until smooth with an egg (you can use a mixer). Add the flour and knead the elastic dough. The resulting mass is cut into small pieces and rolled out as thin as possible. Now rolled out dough should be cut in diamonds and squares and you can proceed directly to the frying. Pour vegetable oil to fry everything until golden brown. You need to take a thick pan, so the dough does not fly apart like popcorn. Once the squares and diamonds fry, they should be removed from the oil and put on the prepared paper towel to cool down, and to get rid of the excess oil. Then, put in a large pot, so it is easier to mix. It’s time to prepare the cream. To do this, pour the honey in a saucepan. If you want – add the sugar and cook it all on low heat. Now you need to constantly stir the mixture until the sugar is completely dissolved in honey. Once prepared honey mass begins to boil, it should immediately be removed from heat to avoid viscous mixture. Hot honey mass is shifted to the pan and mixed with the cookies. After all this is laid out on a pre-prepared plate and cooled down. You can use poppy seeds to decorate the cake. Anthill is ready. If you suddenly ran out of food at home and the wife does not show the desire for cooking (especially if it’s Sunday), then it’s time to cook the sea cucumber with honey, it is great for any seafood. For a start we take from the freezer a bag of sea cucumbers (peeled). Later, with the help of a sharp knife, you need to chop fine chips (preferably not thicker than 1 millimeter). Now you need to rinse it thoroughly, and therefore thaw it in water. It’s time to put everything into a large saucepan and immediately pour a large amount of boiling water. We wait for about ten minutes and strain out curled pieces. After this procedure, they should be put on a plate, poured with soy sauce and honey and keep for another 20 minutes, mixing thoroughly. Now it’s time to start eating. You need chopsticks or a fork, dip the pieces in the sauce, which was left at the bottom. No one likes to be sick. However, the disease makes no exceptions. In order to protect yourself, you must use this good recipe: honey with lemon and garlic. Honey and lemon recipes do not contain any secret ingredients. In order to prepare the medicine we have to take a half a cup of honey and lemon. Grate together with zest. Then knead three medium cloves of garlic and mix it all. The resulting mixture is placed in a dark place, and is brewed for about 7 days. It should be taken three times a day, one teaspoon to whole family. It is very effective for the treatment of asthma. You should prepare aloe leaves. After take one part honey. One part of the aloe and two parts of good Cahors wine. Note that before you cut the leaves, the flower can not be watered at least two weeks. Do not wash the leaves, simply wipe off the dust, finely cut and put in a jar. After pour honey and Cahors, mix and infuse for at least nine days in a cool dark place. After drain well and carefully filter. Take three times a day for one tablespoon in the first two days, and after one teaspoon three times a day. Keep it in the refrigerator. It is very effective folk remedy that will strengthen your health. It is not so simple. However, we will try. – One hot pepper (maybe red). To begin cut the excess fat from fillet, and then put in a prepared deep pot. Squeeze the lemon juice and then sprinkle with finely crumbled garlic. Now marinate in the refrigerator for forty minutes. After fry until golden crust on vegetable oil, add salt and place in a special baking dish, pouring sauce. The sauce should be made of crumbled pepper, ginger, honey and brandy. Do not forget to warm up the sauce in the pan. The dish with the meat and sauce is covered with lid and put for 35 minutes in preheated to 180 degrees C (356 F) oven. We need the black radish and, of course, honey. Rinse the radish and cut off tails (do not throw it away because the tails will later serve as a cover). Cut out very carefully the middle of the radish (you can use a spoon after to make the hole bigger). After add one tablespoon of honey. Now put a radish on a platter, and wait until it secretes the juice. 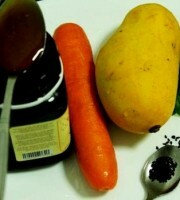 Drink this juice, it helps in the treatment of colds and coughs. Milk with honey, carrot and calendula is a very useful and incredibly tasty drink. Rinse calendula flowers, dry and finely chop. Pour hot water, bring to a boil, remove from heat and infuse for about fifteen minutes. After drain and cool. After add grated carrots, milk, and honey. – Three tablespoons of chopped calendula flowers. – Five slices of lemon. First we need to clean up the duck and prick it with a fork (this allows the fat to drain during roasting). Thoroughly mix the lemon juice, pepper and salt, and rub the duck. Now you need to put the duck in the oven for about fifteen minutes to drain fat. After lower the heat, and bake it in the oven, if necessary, drain the fat. 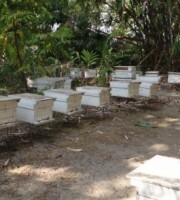 At this time, we prepare honey sauce. Mix all ingredients for the sauce and slightly warm. When the duck is cooked, it should be decorated with lemon circles and put for another fifteen minutes in the oven, pouring occasionally with honey sauce. Prepare fresh, still green pine buds and very well wash them in cold water. After pour it with cold water and bring to a boil over low heat. Add boiling water to the original level, cool, add honey, bring to a boil, stirring constantly. The resulting syrup is poured into jars. Take this honey all year round. Contains a lot of vitamins. – 50 grams of yeast. Mix honey with water and bring slowly to the boil, remove the foam and add spices. Bring to a boil again. Cool, add yeast, pour in glass bottles and keep for 12 hours in a warm place. After the bottle is tightly sealed and keep three weeks in the cold. It is very tasty and incredibly useful. It is particularly effective in the treatment of colds, and helps both children and adults. First we need to sort viburnum. After it is washed and dried, putting on a towel. It is best to make this in the evening. After the tails must be separated from the berries. Then rub through a sieve the berries by small portions. As a result, you should get a very nice and thick juice, stir it until until a homogeneous mass. Pour into the prepared clean jar and cover with a lid. Keep in the refrigerator. This allows to preserve all the vitamins. First we need to take two tablespoons of heather flowers, one tablespoon of willow herb or rose tea, two tablespoons of honey (preferably heather) and pour it with 3 cups of boiling water. Infuse at least 48 hours. Fabulous drink is ready. Enjoy. – 300 grams of pumpkin. We cut the balls of pumpkin pulp using a special notch. Pour it with water so that the pumpkin is covered only by a half, and cook for 25 minutes under the closed lid. Decorate it with pre-melted honey and mint leaves. Enjoy. Today, the most fashionable diet includes smoothies. 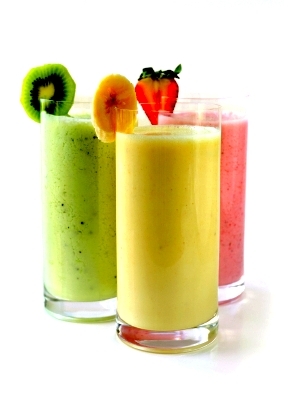 They came from Latin America to the U.S.
Smoothie – is a thick drink, something between a puree and juice, it is prepared mainly from fruits and berries, and sometimes vegetables. The main ingredients are cereal, nuts, honey, yogurt, fresh fruit juices. The result is a useful and amazingly delicious drink. Try it! Preparation: peel the apple, cut into slices, remove the core. Cut in half apricots, remove the seeds. Cut the banana slices. Place fruits, honey and remaining ingredients in a food processor or blender, add ice cubes and mix until smooth. Preparation: Cut the mango, peel and remove the seed. Slice pulp and place in a blender or processor. Add the milk and a bit of honey, lemon juice and mix until the mixture is smooth and there will be foam. Try it and if you want add more honey and mix again. Put ice cubes in glasses and pour the smoothie. Decorate with mint leaf and serve immediately. Mix the sour cream with the egg yolks. Add soda and salt. Add flour and make a thick dough. Then roll the dough into thin strands. Cut into slices. Fry in oil. If the slices are too fat, then dry them on a paper towel. Pour with liquid honey and mix well. Form a hill from the resulting mass and put in the refrigerator for 4 hours. Before serving, decorate with jam. Cooking: Honey is mixed with water and oil. Add cocoa, cloves, cinnamon, nuts, candied fruits, raisins, and baking soda. Put the flour. The dough should be soft. Roll out the dough into a cake with the height of 2 cm (1”) and put it on an oiled baking sheet. Place in preheated oven and bake for 1 hour. After baking, sprinkle with powdered sugar. Mix 1 egg, 4 egg yolks, cinnamon, powdered sugar, honey and crushed anise. Grind the resulting mass until foaming. Whip the remaining whites. Mix flour with baking soda. Combine all ingredients. Put the resulting dough in the dish and bake on low heat for 20 minutes. Then increase the heat and cook for another 20-30 minutes. Baked dough is cut into three cakes and smeared with custard. Put cakes together and cover them with cocoa glaze. Decorate the top with candied fruits. warm water – 4 tbsp. For decoration: nuts or fruit jelly. Melt the chocolate in honey. Add the powdered sugar, egg yolks and water. Whip until foaming. Whip whites separately with semolina and soda. Mix all ingredients. 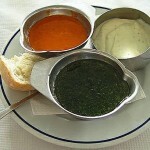 The mass is poured into a dish and cooked on medium heat. Baked cake is cut into layers. Layers are smeared with chocolate cream. Put layers together and pour with the same cream. Decorate with crushed nuts or fruit jelly. powdered sugar – 100 g.
For decoration: apple – 1 pc. Melt sugar over very low heat until golden brown. Add milk and cook until the sugar is dissolved. Soak gelatin. Peel and chop the apples into small cubes. Add them to the milk with caramel and cook for 1-2 minutes. Cool the mass and add the gelatin. Put cottage cheese, 600 grams of cream and whip well. Spread the resulting cream on sponge cake and cover with second cake. Put in the refrigerator for 2 hours. Whip the remaining cream with cream fixer. Put some cream in pastry pocket. Grease cake from sides with remaining cream. Decorate the top with cream, liquid honey and apple slices. Heat honey, add the powdered sugar and whip until foaming. Add the rum, egg yolks – one at a time and vanilla sugar. Add the flour and crushed nuts by small portions. Separately whip egg whites. Mix gently. The mass is divided into three equal parts. Bake three cakes in the dish, greased with butter and sprinkled with flour. Cool ready cake are impregnated with rum and rubbe with chocolate and nuts cream. Grind butter with sugar. Add eggs one at a time. Add flour and baking soda, melted honey, ground almonds and a pinch of salt. The dough should look like thick cream. In the end, add the sour cream. Put the dough in a greased dish. Bake in preheated oven for 30 minutes. Then melt the butter, mix with honey, cream and sugar, add the coarsely chopped almonds and cinnamon. Cook for 2 minutes. Cut bulge from the top of the hot cake and pour with a sweet cream. Spread the cream over the surface and bake for 10-15 minutes. Serve cooled. 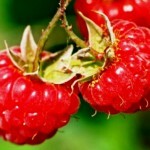 raspberry or strawberry – to taste. Stir butter, honey, milk, sugar and eggs and put on a water bath. When all is dissolved – add the flour and baking soda. Knead the dough and place in the cold. Divide dough into 5 pieces and roll cakes. Bake all the cakes. Whip the cream with the sugar, add the mashed berries. Grease with cream. Garnish with whole berries. Refrigerate. 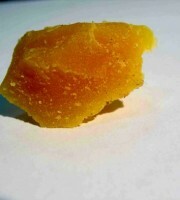 Melt honey on a water bath. Gradually add the eggs, sugar, flour, cinnamon and cloves. Mix. The dough should have the consistency of sour cream. Then put into greased baking dish. Bake for 40-45 minutes. ground cloves – 15 pcs. Melt honey and butter, add egg, sugar and cloves. Mix well. Add tea, flour and baking soda, knead dough. The mass is put into the dish, greased with butter. Bake for 50-55 minutes. Cooking: cut into portions fish fillets and put in a pot. Add chopped carrot and onion, add parsley root, salt and pepper, pour with water and boil. Then remove the cooked fish, put on the dish and garnish with sliced eggs, slices of lemon and parsley. Boil to a third the remaining broth. Cool and mix with gelatin. Pour with the vinegar and bring to a boil and cool. Cook honey and raisins and add to the broth. Pour carp with this sauce and refrigerate until thick. Cut meat into several large pieces and rub with a mixture of salt and pepper. Place on a greased baking sheet. Bake in the oven at 180 degrees C (360 F) for about 30 minutes. Pour the meat with wine with honey, put bay leaves and some juniper berries and place in the oven for another hour. From time to time pour meat with formed juice. Then pull out the meat, and pour the resulting juice into another container, mix with the juice of one lemon and a little evaporate. Fry the onions in butter with a little honey, water and salt in the pan and cut the carrots. When the vegetables become golden brown – add a few spoonfuls of sauce and stew for a few minutes. Put meat onto a plate, put the vegetables on the edges, pour the sauce on top. Preparation: pepper and salt the meat, put in a greased pan and place in preheated oven for 15-20 minutes. Then reduce the fire. Mix 1 tsp. of beer, mustard and honey. Rub the meat with the mixture and sprinkle with thyme. Put chopped onion rings around the meat and pour a glass of beer. Bake for 1.5-2 hours. From time to time pour it with formed sauce. Then, in a separate pan melt the butter with the honey, add the spices and heat, stirring constantly for 30 minutes. Add dried fruit, water and beer. Cook over low heat until the vegetables soften and select syrup. After that keep the filling in the warm. Take meat from the oven, cut into pieces and add filling. You can serve meat gravies. Preparation: Dissolve yeast in 100 ml. of milk, add ½ tablespoon of sugar and add this mixture to the flour. Keep for 15 minutes. Then, 1.5 tbsp. of sugar is mixed with 50 g of oil, grated zest, eggs, flour and salt. Keep for half an hour. Mix 125 g of milk with honey, remaining sugar, butter and poppy seeds. Add cinnamon and 50 g of candied fruit. Bring this mixture to a boil. Roll the dough and cut into squares of 12-15 cm (4-5”) and grease with the white. Bend the edges of squares and fill with a poppy mixture. Bake for 20 minutes. • 700 g of flour. 1. Pour hot water over the honey, stir, cool. Separately mix the sugar, egg yolks, spices, vanilla, lemon juice, lemon zest and baking soda, whip mixture until foaming. 2. Gradually add flour and dissolved honey. 3. Knead the dough on a board, let stand for 5-6 hours, again knead, cut into pieces, roll out beds, cut shapes and figures, bake at medium heat. 4. Hot cakes are smeared with egg. After they have cooled, decorate it with powdered sugar, whipped with the egg. You can also make cakes in the form of gingerbread house, boxes and other original culinary products. • 1 tsp. of ground cinnamon. 1. Mix the flour with cinnamon and baking soda. Add caramel, milk, sour cream. 2. Whip the yolks, mix all the products. Knead the dough. 3. Roll out, cut, shape, spread out on the greased and floured pan. Bake in the oven. 1. Mix well to a significant increase in the volume of the mixture honey, jam, sugar, egg yolks and cocoa. Add lemon juice and zest, anise, cinnamon, baking soda, milk and melted butter, stir again. 2. Separately whip egg whites and mix them with the flour to the resulting mass. Pour into a deep dish. Bake at medium heat. 3. When it has cooled, glaze it, cut into squares and garnish with nuts. • 1/2 tsp. of cinnamon. 1. Whip the eggs, honey and sugar until foaming, add dissolved in water 1 tsp. of soda, lemon juice, lemon zest and cinnamon, mix well. 2. Pour the flour slowly to avoid lumps. Add chopped walnuts and mix. Grease the dish with vegetable oil, pour the batter and bake on medium heat until it begins to rise. 3. Reduce the heat and leave in the oven until dark. Take out of dish when cooled. 1 • / 2 tsp. of baking soda. 1. Whip the egg yolks and honey until foaming. Add the flour and milk with dissolved in it baking soda, mix for 10 minutes. 2. Add the lemon zest, cinnamon and raisins. Bake for 1 hour in a dish, grease and flour it before. 3. Take the cake from the dish hot. Glaze the cooled cake. 1. Mix the whipped eggs with honey, butter, sour cream, vanilla sugar, baking soda and salt. 2. Add flour, knead the dough, cover it with a cloth and let stand for 20-30 minutes. 3. Roll out the layer with the thickness of 0.5 cm (0.05”), cut out figures, put them on a greased and floured pan at 2 – 3 inches apart and bake at medium heat. 1. Bake in the oven apples, rub them warm through the sieve. 2. When the puree has cooled, whip it in a blender with cottage cheese, lemon juice, lemon zest and cinnamon, add a little of honey. 3. Sprinkle with chopped walnuts. • 2 tbsp. of thick strawberry syrup. 1. Mix honey with strawberry syrup. 2. Rub the butter with sugar and egg yolk and gradually add honey, then whip until it is foaming. • 1 tbsp. of butter. 1. Mix the sugar, honey, flour, lemon juice, lemon zest and egg, add the butter and cook, stirring continuously, until the mixture has thickened. 2. Remove the cream from the heat and allow to cool. 1. Mix honey, sugar and water, until the sugar dissolves and it becomes a homogeneous mass, boil without stirring. 2. Whip the whites and continue to whip, pouring the hot syrup. Add chopped walnuts and spices. 3. Spread the paste evenly on the wafer sheet, cover with another sheet of wafer and put under pressure. 4. Carefully cut the nougat squares. • 100 g of walnuts. 1. Cut the orange pulp into pieces and mix with chopped walnuts, add lemon juice and honey. 2. Serve in an hour. 1. Wash, clean, cut strawberries, add honey. 2. Add vanilla sugar, stir and place in the refrigerator for 1 hour. 3. Before serving, add the whipped cream. • 1 tbsp. of carrot juice. 1. Rub apricots through a sieve, remove seeds. 2. Grate carrots, squeeze the juice and mix it with apricots, add honey, garnish with whipped cream. • 800-900 g of honey. 1. Wash the apricots, remove the seeds. 2. Mince ripe ones, mix with honey and cook on high heat for 10 min., stirring constantly. 3. Add remaining apricots, chopped into small pieces, and cook for a few minutes. Note. To make the jam thicker, you can add some mashed grated apples. • 700-800 g of honey. 1. Thoroughly wash strawberries, put in a porcelain dish, pour honey and let stand for 3-4 hours. 2. Drain the syrup and cook on high heat for 10 minutes, stirring constantly. Add strawberries and cook for a few minutes. Note. To make the jam thicker, add juice of currant. 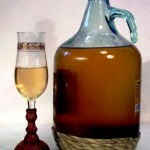 Drinks with honey can be served both as a beverage and as a tonic. In any case, they are equally tasty and good for all ages. • 1/2 liter of milk. 1. Dissolve the honey in slightly heated milk. Cool and whip in mixer. 1. Wash ripe apricots, remove seeds, cut into pieces, put in a glass jar, add honey, stir and put for 1 hour in a warm place. 2. Rub through a sieve, add milk, mix and whip with a mixer. You can add 1/4 cup of carrot juice. • vanilla and sugar to taste. 1. Whip in mixer jam with yogurt and cold milk, gradually adding honey and vanilla sugar. Decorate each portion with strawberries. • 1/4 liter of water. 1. 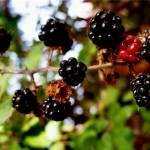 Heat some water, dissolve the honey, add currant syrup, juice and water, place in the refrigerator. 2. Serve in glasses with straws. searching for a simple, straight forward honey dispenser as seen in Germany, I landed on your site and copied some of your health-receipts.